Christmas Island is located 2,600 kilometres (1,600 mi) northwest of Perth, Western Australia, 500 km (310 mi) south of Indonesia, 975 km (606 mi) ENE of the Cocos (Keeling) Islands, and 2,748 km (1,708 mi) west of Darwin, Northern Territory. 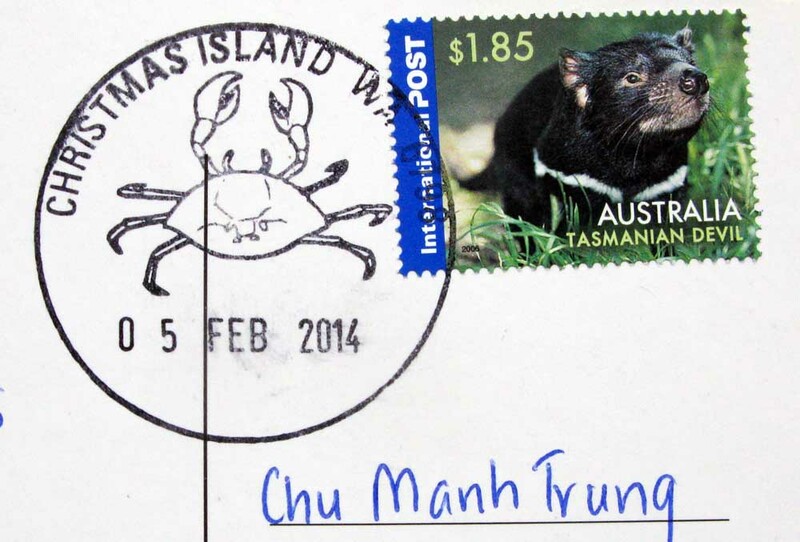 Its closest point to the Australian mainland is 1,560 km from the town of Exmouth, Western Australia. 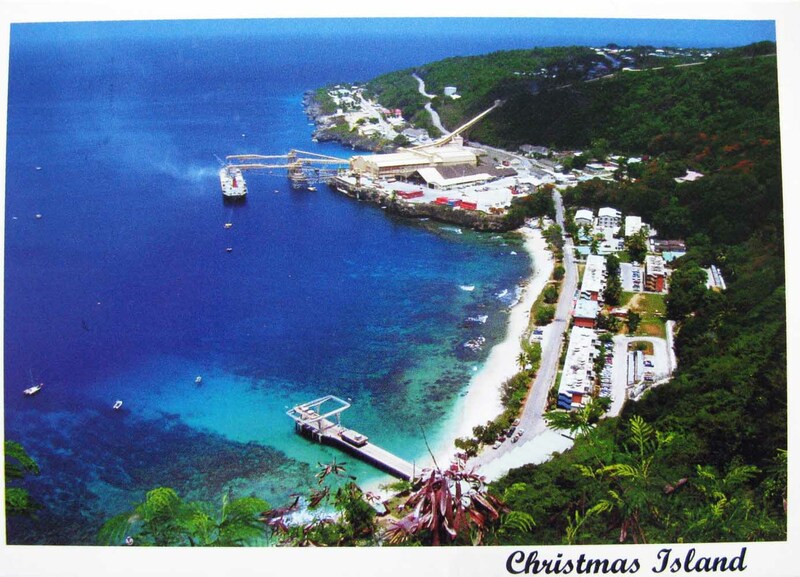 Flying Fish Cove is the main settlement of Australia’s Christmas Island. Many maps simply label it “The Settlement”. It was the first British settlement on the island, established in 1888. About a third of the territory’s total population of 1,600 lives in Flying Fish Cove, which lies at the north-eastern of the island. There is a small harbour which serves tourists with yachts. It is possible to dive at the settlement’s beach.